In this three part interactive ITIL resource, we take a look at the Problem Management Process. 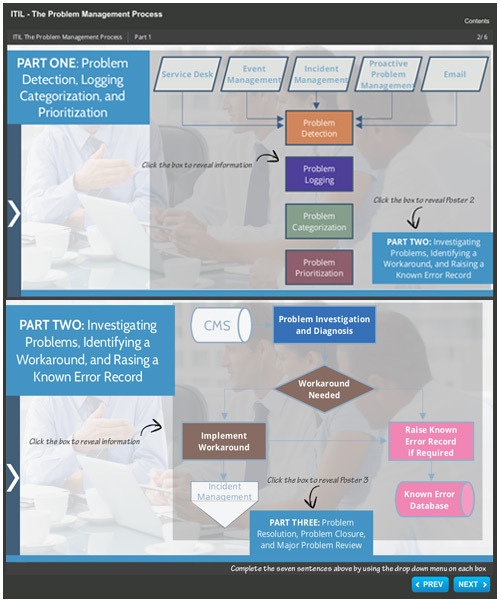 In part 1, we look at problem detection, logging categorization and prioritization. In part 2 we cover investigating problems, identifying a workaround and raising a known error record. In part 3 we look at problem resolution, problem closure, and major problem review.